August 19, 2018 4:37 pm. Lanciato will continue his Epsom Handicap preparation in a star-studded barrier trial at Rosehill. One of the leading Epsom Handicap fancies, Lanciato, will continue preparations towards his main spring target in a star-studded Rosehill barrier trial. The Mark Newnham-trained Lanciato produced an eye-catching return to racing when he charged home for fourth in the Group Two Missile Stakes (1200m) on August 4, won by Pierata. He is set to make his next public appearance in a 1000m-trial on the course proper at Rosehill on Monday which is scheduled to feature four Group One winners – Redzel, Trapeze Artist, English and Global Glamour. Redzel, Trapeze Artist and English are among the sprinters already confirmed for slots in October’s $13 million Everest (1200m) at Randwick. 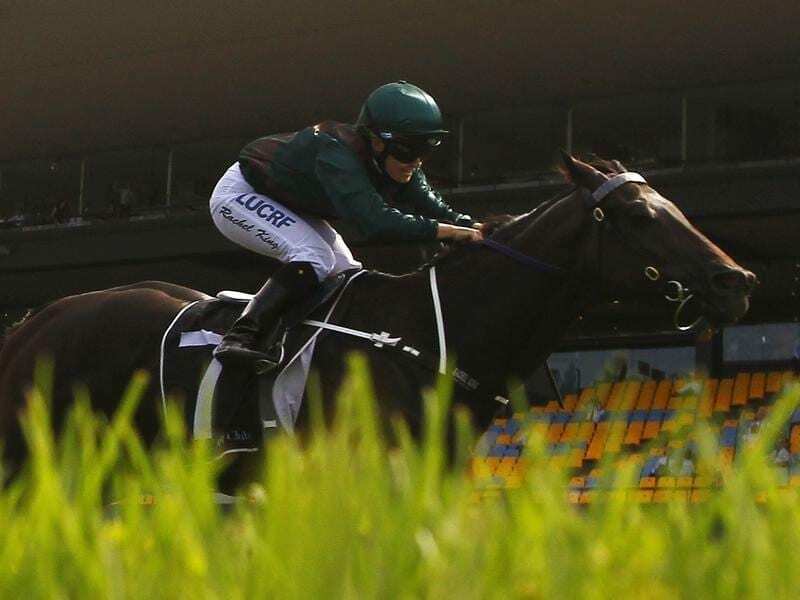 Lanciato has the $1 million Epsom Handicap (1600m) at Randwick on September 29 as his target and will run in the Group Two Tramway Stakes (1400m) on September 1 on his way. “He’s come through that first-up run really well,” Newnham said. “His trials had been very good and his work has been great. He’s never won at 1200 metres and he had never raced at weight-for-age so to see him do that against that calibre of horse and run his last 600 metres in 32.6 seconds, that’s the makings of a Group One horse. Newnham believes the best preparation for Lanciato is the four week-break from the Missile to the Tramway with another four weeks into The Epsom. “He’s a real routine horse,” he said. “You space his runs and give him a trial in between and that’s when he’s at his best. “He went six weeks between runs between winning the Carrington Stakes and winning the Newcastle Newmarket last preparation so he’s not a horse you need to be racing every couple of weeks. “He’s in really good shape and he’s unbeaten second-up so the Tramway looks a really good race for him and it’s provided the past two winners of the Epsom. Hauraki and Happy Clapper did, however, start in the George Main Stakes after the Tramway before taking out the Epsom. Lanciato shares the second line of Epsom Handicap betting at $8 alongside Pierata with D’Argento and Kementari, third and fourth in Saturday’s Group One Winx Stakes, the joint $6 favourites.